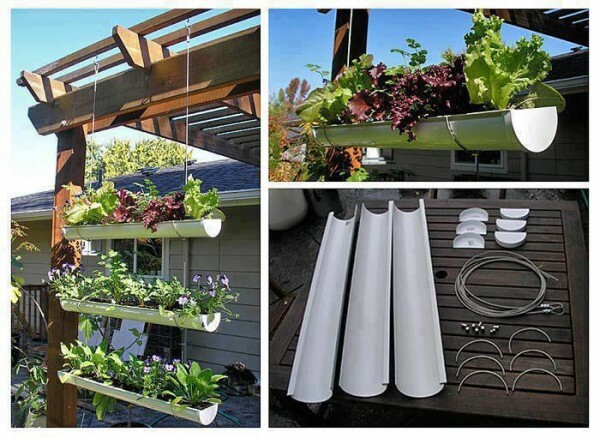 Here is a fantastic step by step tutorial on how to make a hanging gutter garden for yourself today. Easy to follow and very convenient to have. Perfect for outside, on the side of you patio or balcony. Fill it with salad greens and have fresh salads all season long, or fill it with flowers and let the aroma and beauty become part of your outside decor. A must have for every home.